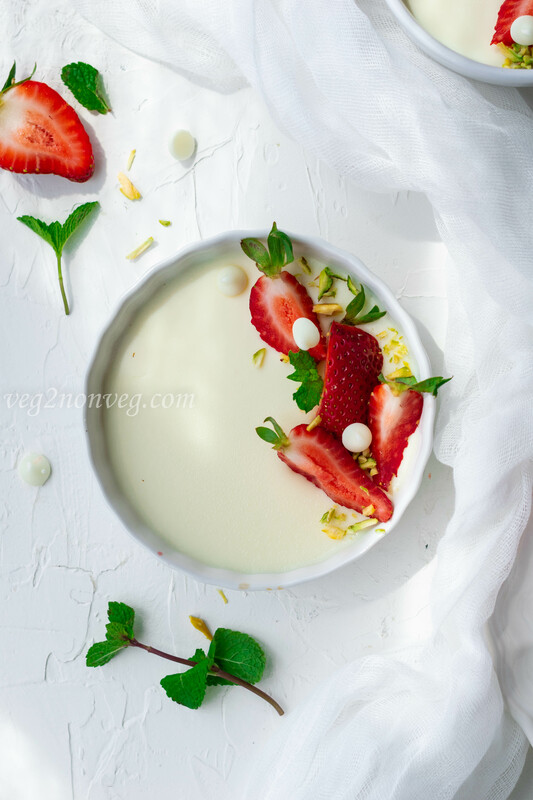 Today I have shared the recipe for “White Chocolate panna cotta”, which is my favorite. 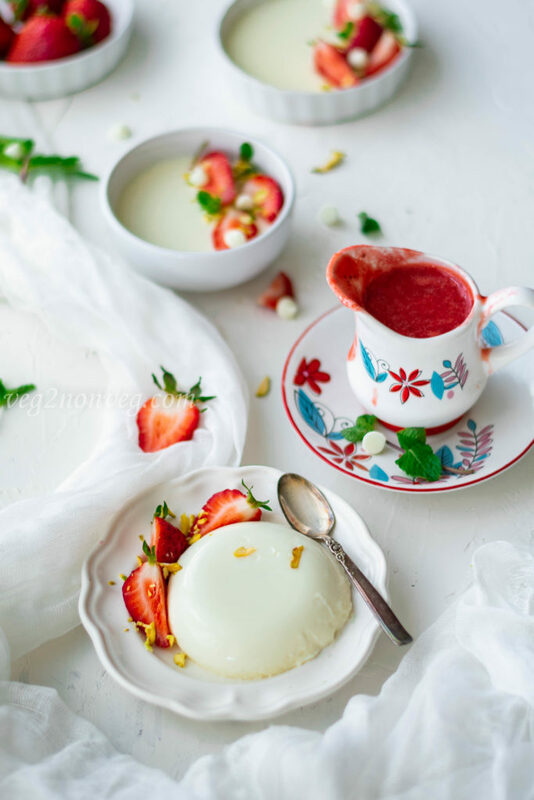 The best thing about panna cotta is they can be made ahead and refrigerated up to 3-4 days. 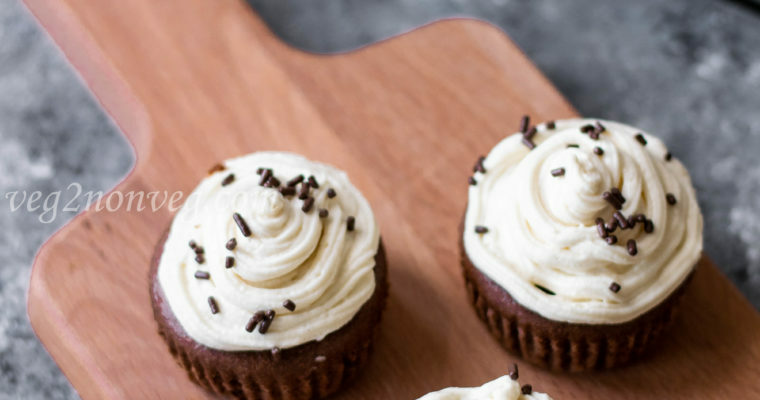 This will avoid the last minute tension of making a dessert for your parties. 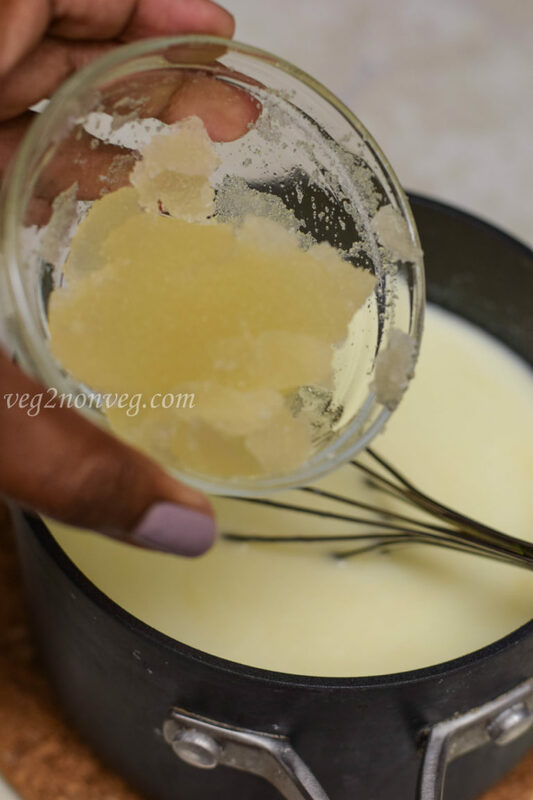 Even the sauce can also be made ahead and store it fridge and they taste good for up to 2 weeks. 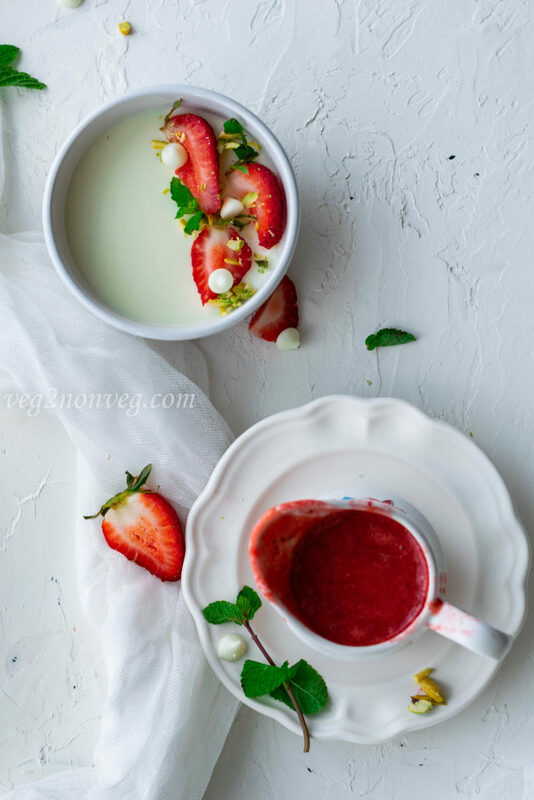 Now strawberries are in season, so thought of making strawberry sauce to pair with the panna cotta. 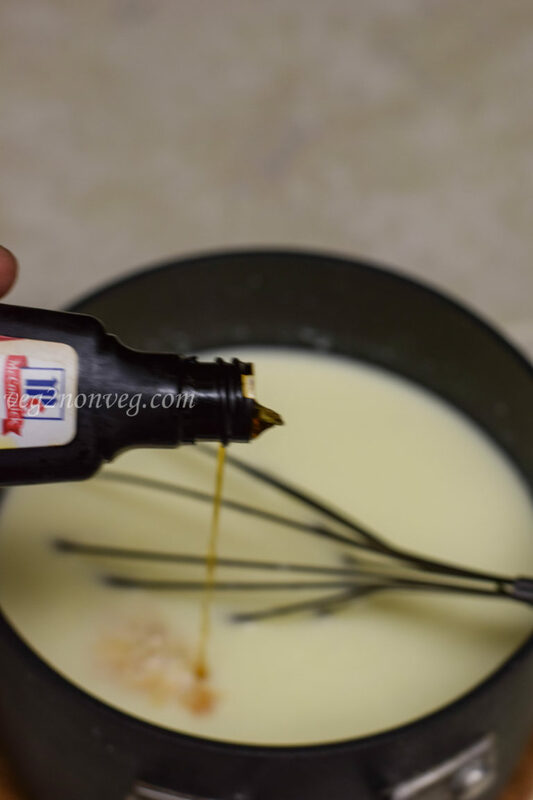 I have added a teaspoon of lemon juice in the sauce to cut the extra sweetness in the sauce. 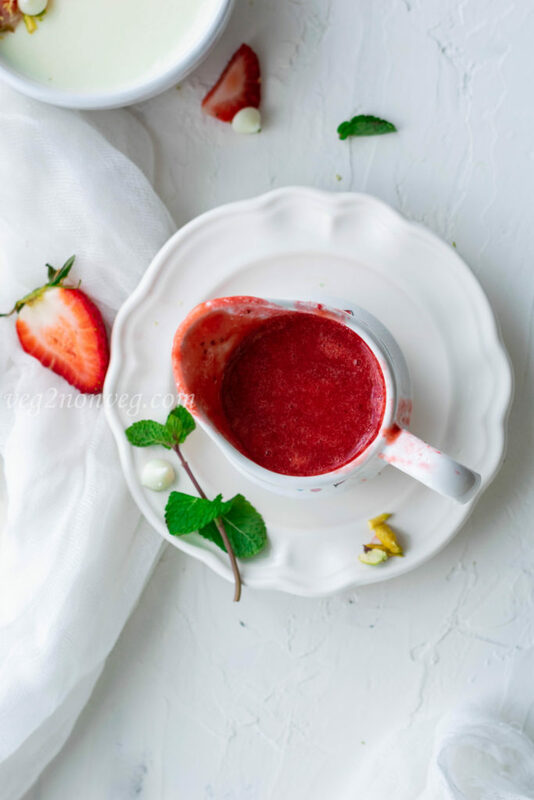 I have pureed it after cooking the strawberries, but you can just thicken the sauce by adding a teaspoon of cornstarch and use it. 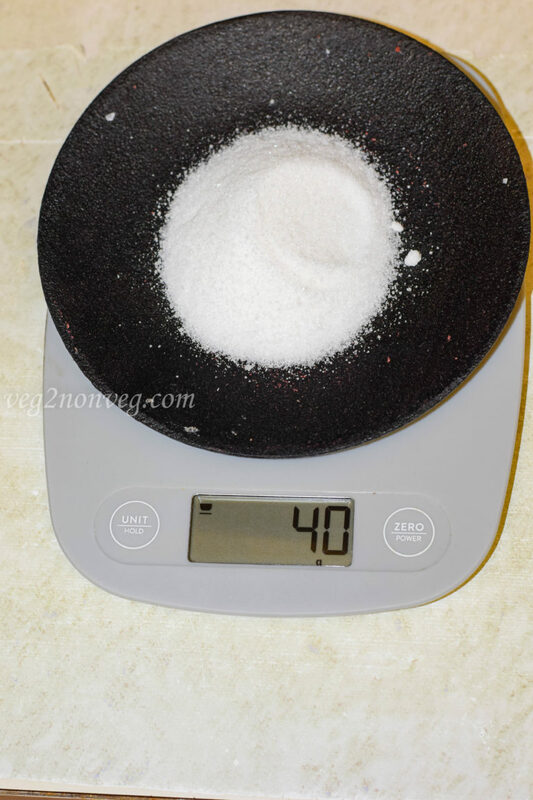 Take a small bowl with 2 tablespoons of cold water. 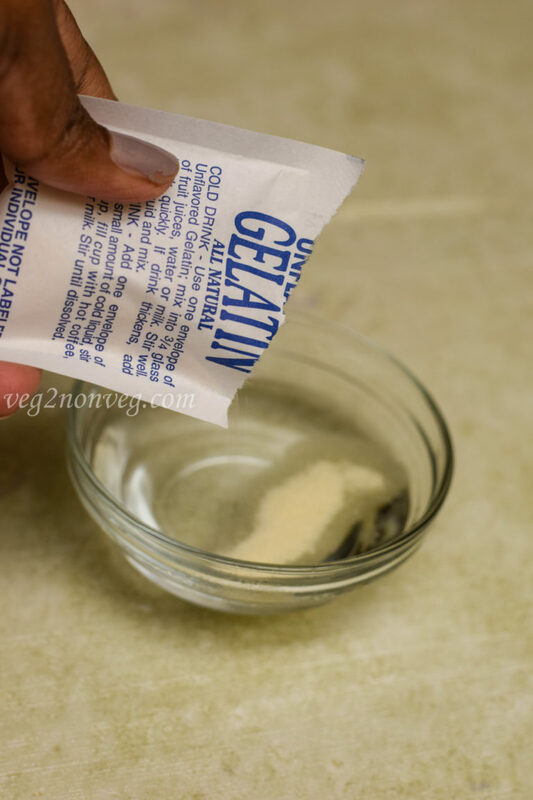 Sprinkle the gelatin and give it a mix and let it stand for 5 minutes until the gelatin softens. 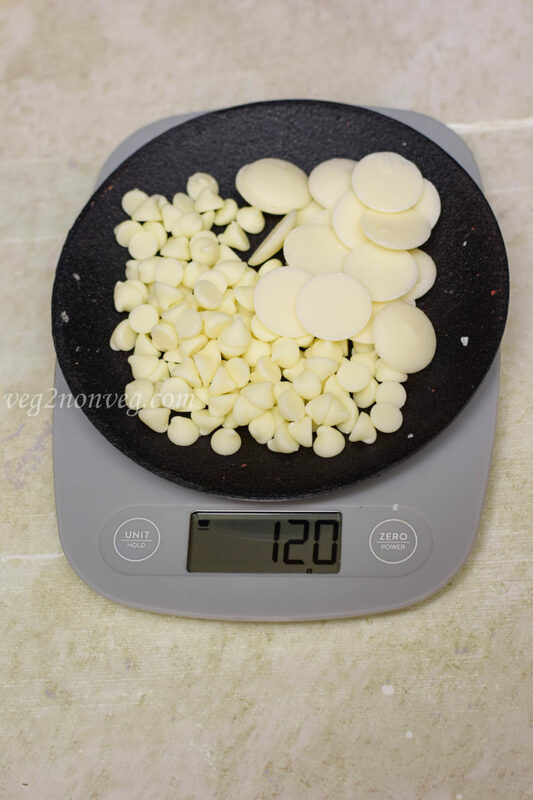 Measure the white chocolate and sugar and keep it aside. 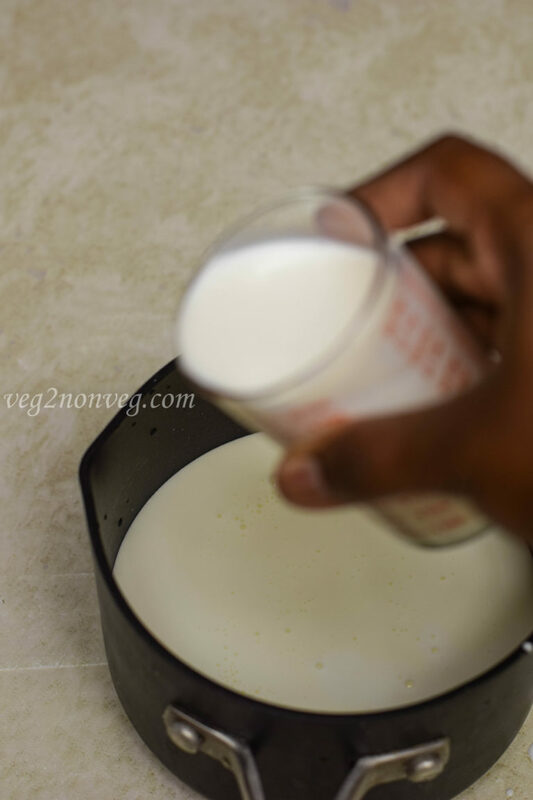 Meanwhile take a saucepan, add the heavy cream and milk and heat it on stove top. 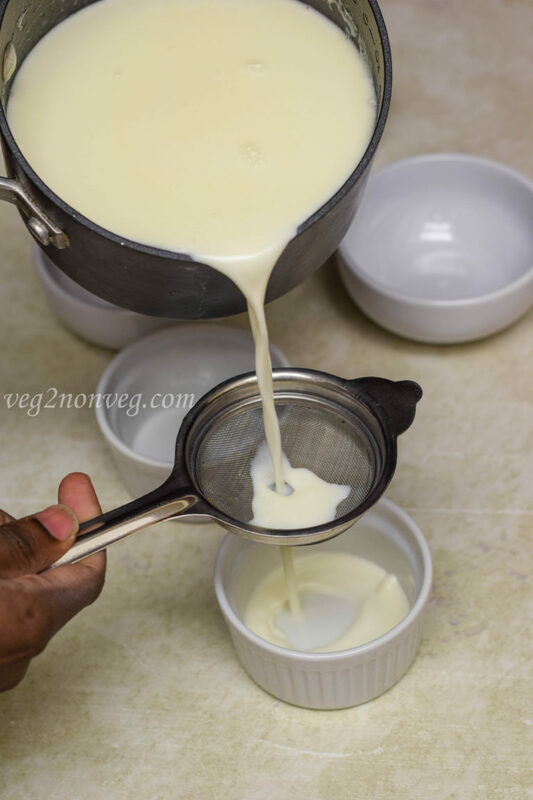 Once the milk starts boiling, remove it from heat and add the white chocolate, sugar and gelatin and mix it well until the gelatin dissolves and white chocolate melts. Add the vanilla extract and give it a stir. 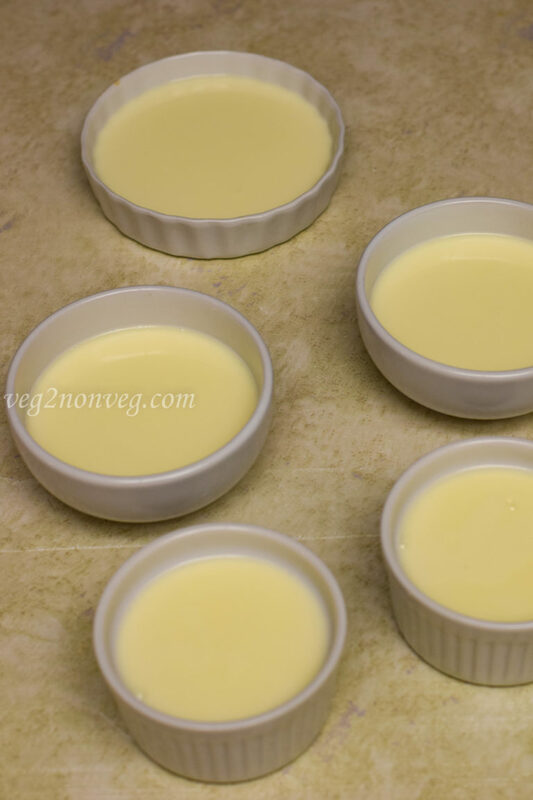 Now filter the panna cotta mixture and pour it carefully into the ramekins/bowl. 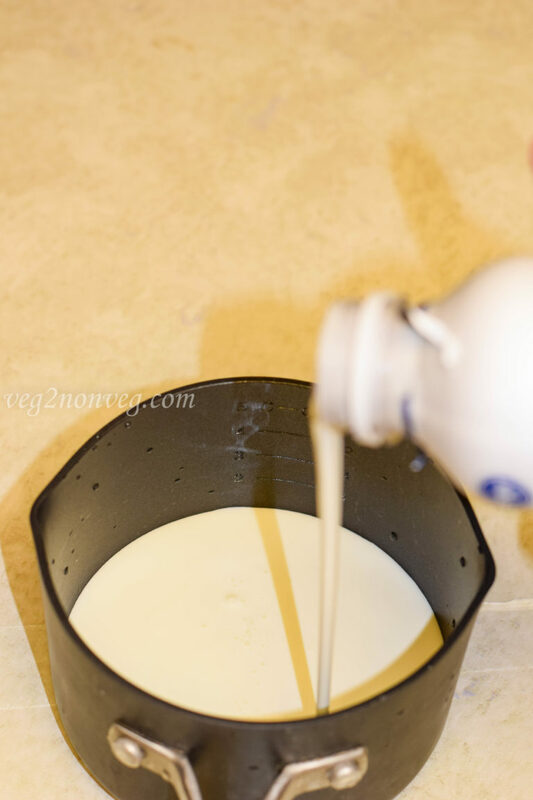 Cover the ramekins and refrigerate it for at least 4 hours to overnight. 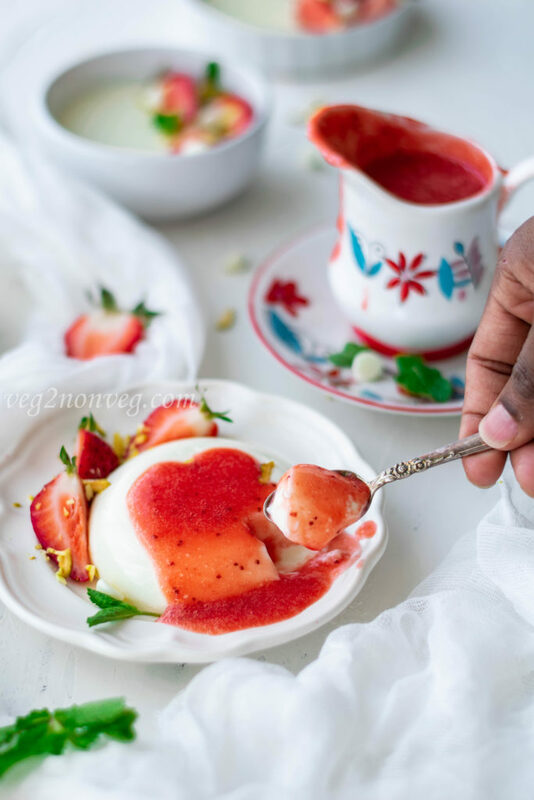 For the strawberry sauce, take a saucepan and add the strawberries, water, lemon juice and sugar and cook it for 5- 8 minutes until the strawberries soften. Allow it to cool and blend it to a puree, sauce is ready. 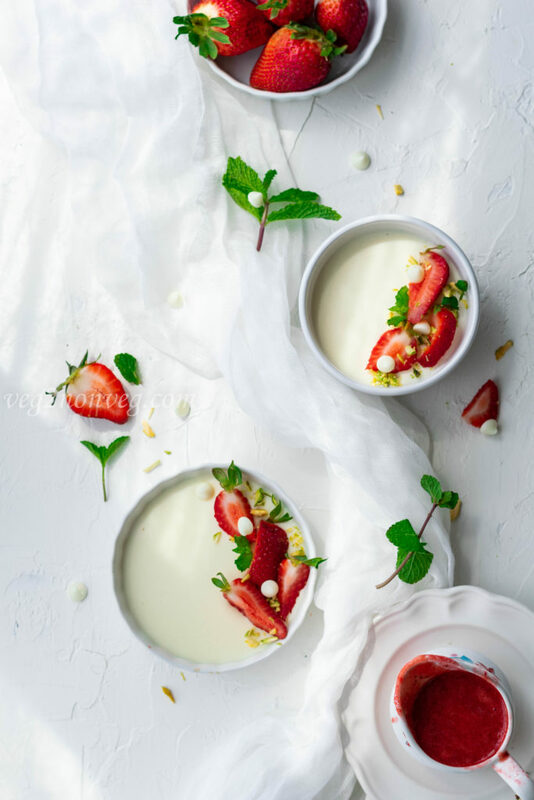 Now invert the panna cotta on a plate and add some strawberry sauce on top and serve it chill. 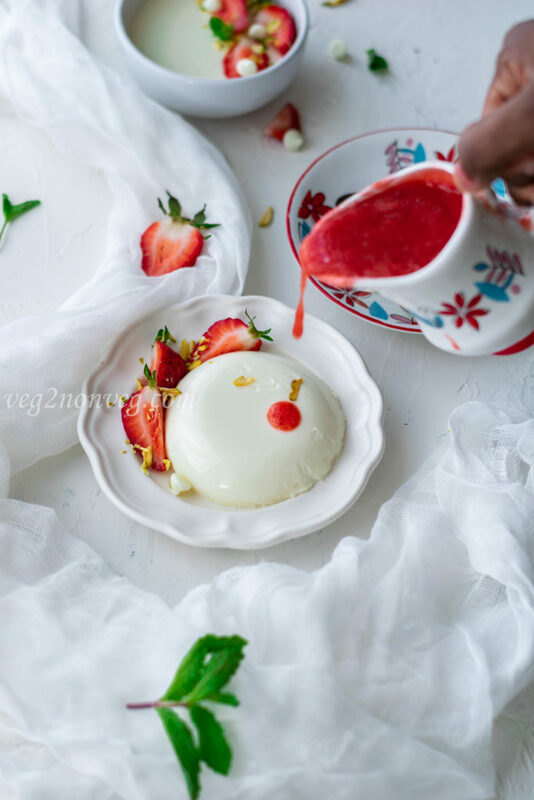 If you are unable to unmold the panna cotta, it means it needs some time to set. 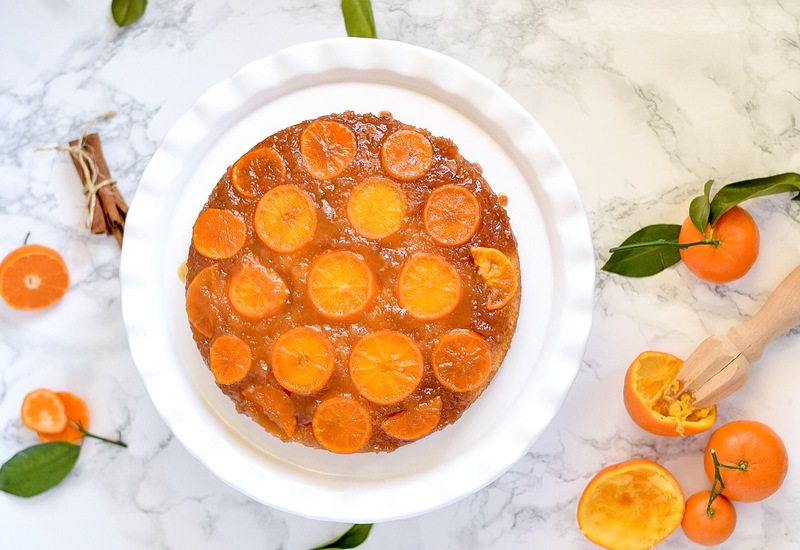 So leave it in fridge for another hour and then try to unmold it. 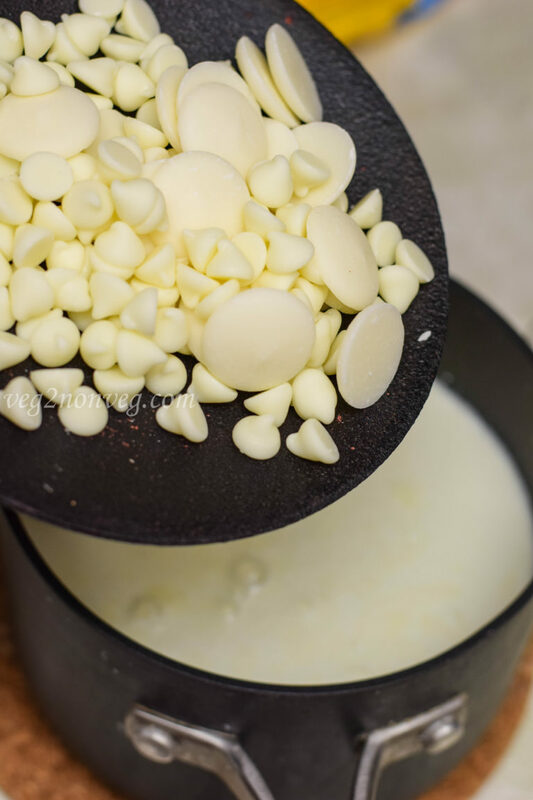 As I didn’t have white chocolate bar at home I used white chocolate chips. 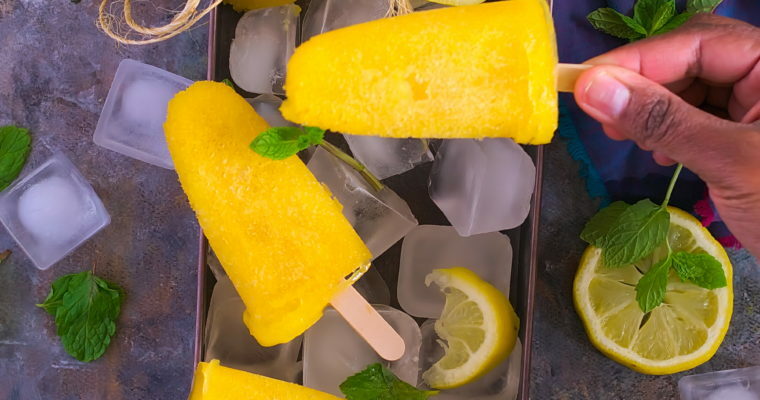 But can use either bar or chips to this recipe. 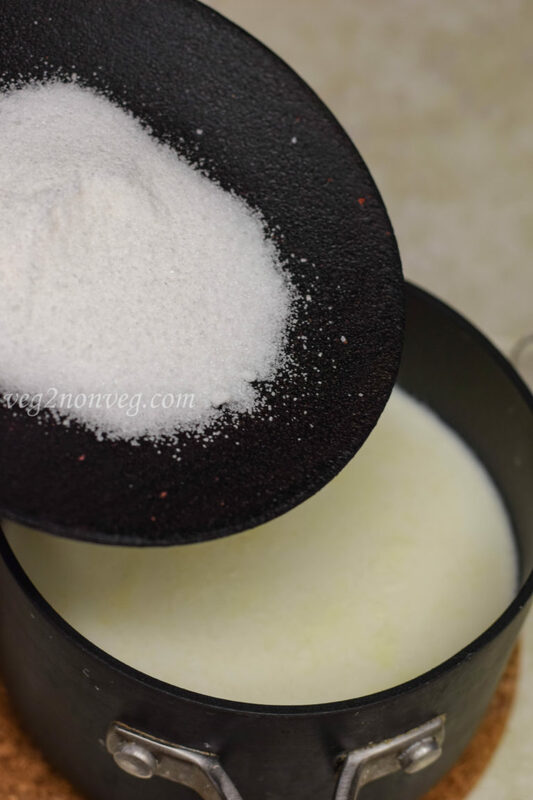 Instead of gelatin you can use agar-agar as well for the recipe.